Sherrie Scraps with passion: You Inspire Me and 1000 Follower Giveaway Winner! Happy Friday all!! 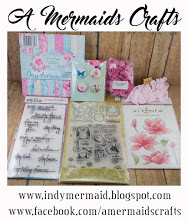 I am so thrilled and honored to be a Guest Designer over at Little Scrap Pieces today. Thank you so much Karen for having me! Today's Fun Friday challenge is: to use the color purple. Make sure you head over to Little Scrap Pieces and link up your project for a chance to win a great prize. For the base and base layer of my card I used the Spellbinders Grand Scalloped Rectangles. The next layer I used the Fleur De Lis Rectangle using pretty paper from Echo Park-Hello Spring. I added a beautiful paper doily that I inked with Tim Holtz-old paper distressing ink. I added a smaller layer from the Fleur De Lis Rectangle and then a tag from the Spellbinders Fancy Tags which I inked with Tim Holtz-dusty concord. The beautiful sentiment is from Inspired by Stamping ~Heartfelt Gratitude. I love this set! I added some beautiful roses that I cut at 3 1/2 and 2 1/2 from the Lacy Labels cartridge... .Yeah, Lacy Labels-didn't know this was even on there. :) bonus! The leaves are from another Spellbinders set called Foliage. I finished the card by adding some bakers twine, a button and a beautiful bow using crinkle ribbon that I won from Little Scrap Pieces. 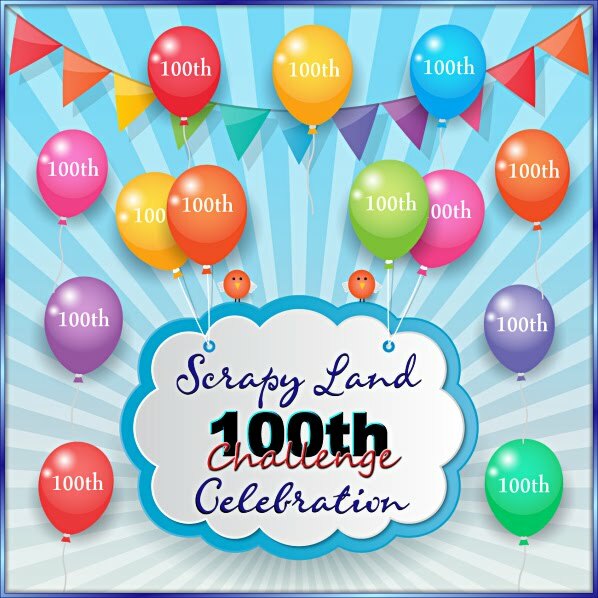 Hope you pop over and join in the challenge and thanks again Karen for having me! 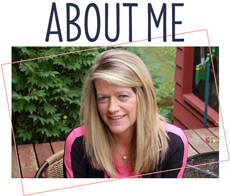 I also want to say "thank you" to all of my blogger friends who follow me and come visit and leave such sweet comments. It is you that keeps me motivated and inspires me to continue to create!! I have made such wonderful friends blogging and wish I could meet each and everyone of you. Just think how much fun we would all have...I am truly blessed! Karen, please drop me an email with your info so I can get these goodies out to you! Woo-hoo, Karen!! Congrats!! Enjoy your goodies!! What a stunning card! Congrats to your winner and for GDT spot...you do deserve it, you totally rock girl! Congrats to you Sherrie on your Guest spot at Karen's little scrap pieces you did a fantastic job on your card as always. Congrats to Kare the winner of your 1000 follower giveaway. Have a great weekend planning the wedding. Congrats to the winner and being a Guest Designer for Karen. She is wonderful too. Your card looks great. I am trying to get Fancy Tags 2 or 3, but everytime I go Michaels is sold out! I shall keep trying! Sherrie this is another beautiful card. You and Lisa are my hero's with this style. I'm trying to become a copycat to you guys. Not there yet:) I love to see the beauties you guys come up with. Your card is Stunning like always my friend. Thank you for always inspiring me. Congrats on your guest designer spot! Gorgeous card! Love the colors and layers and your pretty details! The roses are very pretty! Thanks for sharing the name of the Cricut cartridge. I had to look at that cartridge. I had not noticed the roses, but I will try them now! 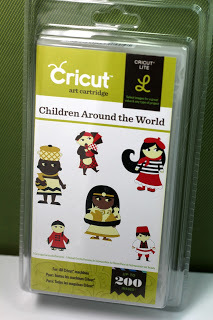 It has been fun seeing the different Cricut roses that are used for the challenge! Thanks for sharing your beauty with us at BBTB2! Congrats Sherrie!! Your card is absolutely adorable!!! And I want to thank you because you're the true inspiration!!! :) Have a great weekend! Another beautiful card Sherrie. Congrats Karen. Most importantly... this card is absolutely gorgeous, my dear friend! The beautiful layers are so beautiful, especially in those exquisite colors and patterns. The roses look amazing and I LOVE that butterfly! :o) THe ribbon and inking are such beautiful accents. (And pearls! Love, love, love pearly happiness.) Beautifully done as always, Sherrie! Such an adorable card Sherrie. Congratulation to Karen for winning. Beautiful card. Love the flowers and the shape of the card. Congrats to Karen!! I love love love love the card!! GORGEOUS colors and loveeeeeeeee the flowers!!!! Another stunning card! I love it! This one has it all....gorgeous layers, beautiful colors, fabulous roses and one of your famous bows! Congrats on reaching (over) 1000 followers my talented friend...YOU inspire me! Congrats on being the guest designer....your work is awesome. Love the rose card...thanks so much for sharing it with us at BBTB2. Gorgeous card Sherrie! The fancy frames, flowers, and butterfly are amazing! Congrats to Karen!!!! Love this card Sherrie, perfect for our challenge. Thanks for joining us at Crafty Ribbons. Guess I need to check out Lacey Labels again. Beautiful flowers and so many elegant details. Love the colors! Thanks for joining us for the rose challenge at BBTB2. Sherrie it's another great card. I love that rich purple color. It's a bit unusual and definitely an eye catcher. Oh my gosh Sherrie..this card is simply GORGEOUS!! I of course love all the purple ; ) I always love looking at your beautiful creations!! Such a pretty card, I reallly like the flowers & butterfly. And your double bows are second to none, I need to learn how to do these!! This is stunning! Love all your gorgeous details! Congrats on your well deserved GDT spot! Your card is gorgeous Sherrie! Love all the amazing details on this! Sorry I haven't been around much, my Son is moving into his first Apartment so it has been a crazy and exciting time for me! Hope your summer is going great! Gorgeous card Sherrie,beautiful roses and butterfly. Congrats on your GDT spot and to Karen. Thanks for joining u s at BBTB.2. 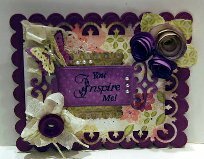 Gorgeous purple card.love the flowers and die cuts.Lots of dimension lovin it. Beautiful card Sheri.Thankyou for joining us at Crafty Ribbons. soooo lovely! Simply beautiful. Thanks for sharing your creativity with us at BBTB2!